Industry-wide notebook shipments will continue to decline in 2014, claims NPD DisplaySearch. Revised estimates predict shipments from all vendors, including Apple, will reach 134 million units, down from an earlier estimate of 152 million unit. One factor contributing to this decline is the expected Q3 2014 launch of Intel's upcoming Broadwell CPU. Intel confirmed in its latest earnings conference call that its Broadwell chipset will enter production in Q1 2014 and become available in the second half of 2014. Slowing PC demand and yield issues forced Intel to delay Broadwell by at least a quarter from its original timetable, with that delay likely contributing further weakness in the PC market. 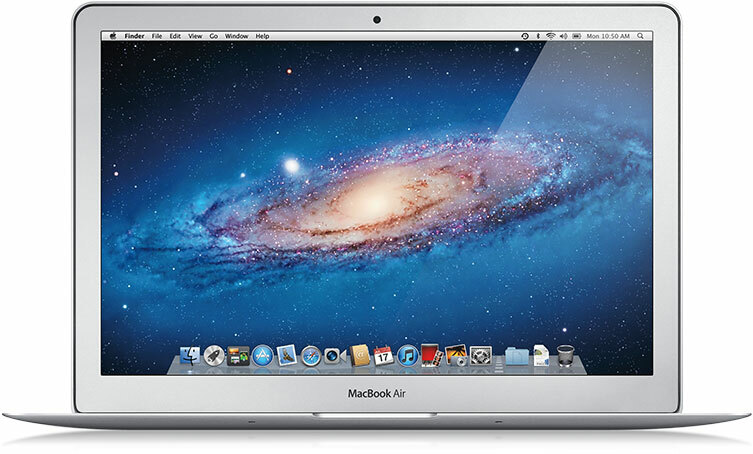 Intel's Haswell processor line, the company's current CPU family and predecessor to Broadwell, was released in June 2013 and landed in the MacBook Air during the same month. DisplaySearch also cites the rumored 12.9-inch iPad, wearables and the convergence of mobile and desktop operating systems as market forces that could shift consumers away from notebook PCs. Despite a declining market, Mac sales in the just-ending quarter were strong, increasing from 4.06 million units in Q1 2013 to 4.8 million in Q1 2014. Mac net sales accounted for 11% of the company's revenue for the quarter, up slightly from 10% a year ago. DisplaySearch also cites [...] wearables [...] could shift consumers away from notebook PCs. In the meantime, give the Mac Mini some Haswell love Apple! What is coming next, Broadwell or a Haswell refresh? I've heard both, and it's a bit confusing. Hope this doesn't affect possible laptop refreshes at WWDC. Haswell refresh for desktops and Broadwell for mobile. Though there are also newer mobile Haswell processors with minor spec bumps. I bought the Ivy Bridge revision of the 13" rMBP that was released in Feb. 2013, which I'm very happy with. I think I'll skip Broadwell and look at whatever they come out with next (is it still "Skylake"?) At this rate, that probably won't be until early 2017. I guess this means no 11.85" Retina MacBook Air before July/August. Apple would probably want the Broadwell GPU and lower power requirements to power the screen without requiring a humongous battery like the rMBP. Mate, don't be surprised; the Samsung Galaxy Gear has been a monumental failure (they're practically giving it away at this point with phones etc) yet we have moronic analysts claiming that it is the 'future trend'. Honestly, it as though such people create hype about something just so they can manipulate companies and consumers to get interested in something that isn't demanded but it'll allow these muppets to make a quick buck. These analysts are looking for the next big thing but they ignore the fact that the next big thing relies on infrastructure such as high speed broadband being available at a low price and accessible to the vast majority of citizens to allow the next wave of content delivery to occur. Let me make a prediction: Desktops, Workstations and Laptops will all co-exist with tablets and smartphones as they're complimentary products rather than replacing - the sales are declining not because people are moving on mass to new devices but because the upgrade cycles are longer and when there are examples of replacement it is a cheap laptop being replaced with a tablet thus Apple gains either way - gain on the tablet and gain then gain on the computer sale. A reason the new chipset could be delayed is because Intel still needs to monetize the current chipset, and with worldwide PC demand slowing, it's taking longer for intel to do that. It isn't like any other PC CPU manufacturers are holding intel's feet to the fire. You mean probably Broadwell, because Haswell is a very old platform.